A decade after the 1626 founding of Salem on the north coast of Massachusetts, a group of colonists fanned out to the north and west, five-to-seven miles from the coast, and established what came to be known as Salem Village. Unlike their merchant and mariner neighbors in town, most villagers were farmers. Five miles was a long way to travel to attend church in town, on horseback or by foot and on less-than-adequate roads, and in time, the villagers began to demand a church of their own. In 1672 they were finally granted the right to begin their own parish, under the auspices of the Salem Town church. According to historian Emerson Baker, most other New England towns of the time retained a minister for an average of 22 years. Salem Village, an increasingly factionalized and argumentative community, went through four ministers in only sixteen years. These ministers were James Bayley (1672-79), George Burroughs (1680-83), Deodat Lawson (1684-88), and Samuel Parris, who arrived in 1688-89. Unlike his predecessors, Parris was the first minister to become fully ordained and was thus able to baptize and give communion to members of the congregation. Previously, these privileges remained with the Salem Town church. Though there was residual disagreement within the community in regards to the appointment of Parris, he was formally ordained in 1689, and the villagers were finally able to be baptized and receive communion in their own parish. At this time, there was considerable fear and tension within the Salem Village community. These individuals were living on the frontier, in near constant fear of Native American and French attack. They were afraid of disease, especially small pox. In addition to their disagreements on who should be minister, many of the villagers were entangled in land and family disputes. England had revoked the Charter for Massachusetts Bay Colony in 1684 and it became unclear if the villagers had legal right to their land. 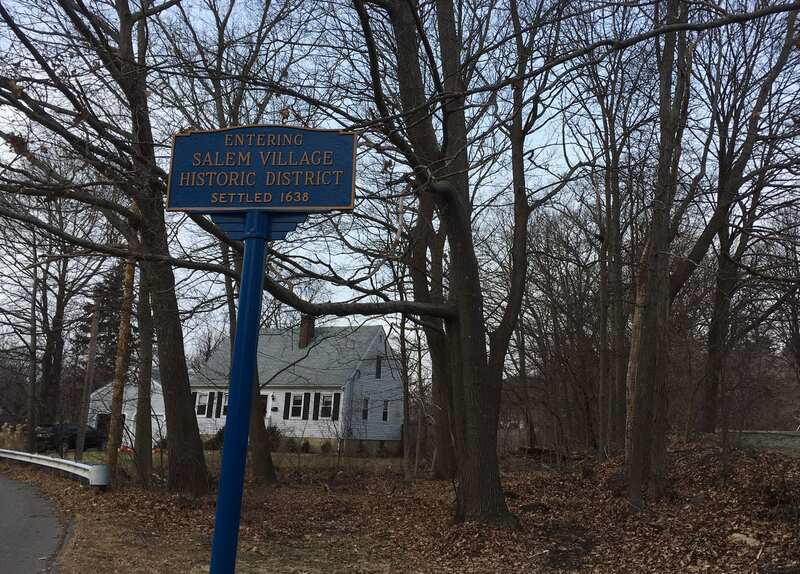 Serious trouble began in Salem Village in the middle of January, 1692. In the parsonage of Reverend Parris his 9-year-old daughter Betty and her cousin, 11-year-old Abigail Williams, began acting strangely. They had fits and convulsions, writhed and twisted, and made disturbing sounds. Following an examination by the local physician Dr. William Griggs, it was pronounced that the strange behavior was the result of bewitchment. Over the next nine months hysteria spread throughout Essex County, and resulted in more than 150 accused of witchcraft, 20 executions, five jail deaths, and countless lives changed forever by the time it ended. The villagers worst fear was confirmed. The Devil was loose in Salem Village. In 1752, Salem Village was renamed Danvers, for settler Danvers Osborn, and was officially incorporated as the town of Danvers in 1757. Today, Danvers is best-known for its connection to the witchcraft trials, the Danvers State Hospital, a psychiatric institution which opened in 1878 and closed in 1994, and a large shopping district with the Liberty Tree Mall as its centerpiece. Still generally a small and rural town, with the major highways Interstate 95 and US Route 1 running through it, Danvers has a population of approximately 26,000 today.